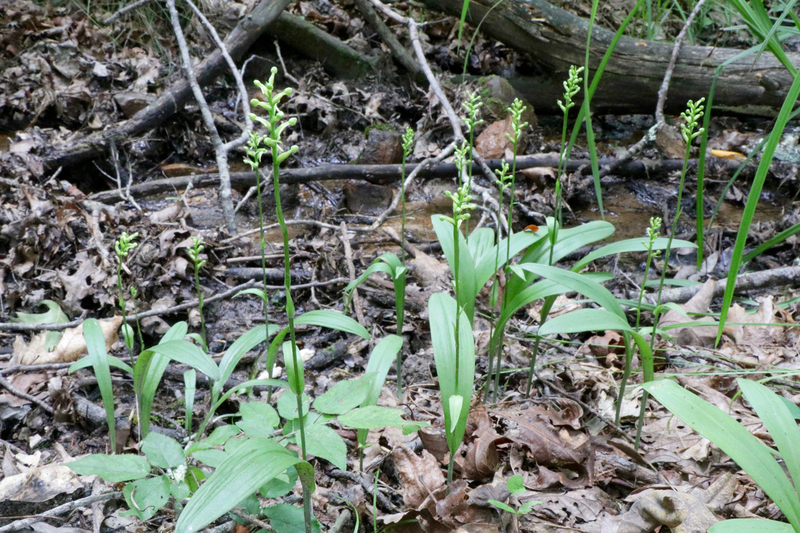 A few weeks ago, while looking for mushrooms, I spotted a small colony of orchids growing along the moist banks of a woodland creek near Pandapas Pond in Montgomery County. I immediately got pretty excited, mainly because I didn’t know what kind of orchids they were! 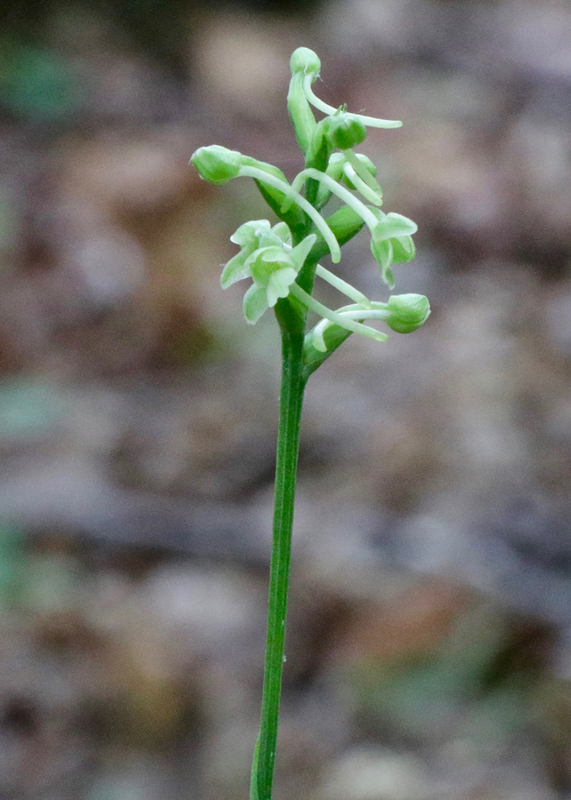 It is sad to say, but this is the kind of thing that passes as “fun” for plant nerds, so this discovery was soon followed by several more exciting trips to the same spot in an effort to photograph the orchids as they were coming into bloom. 🙂 The result is the series of photos you’ll find in the gallery below. 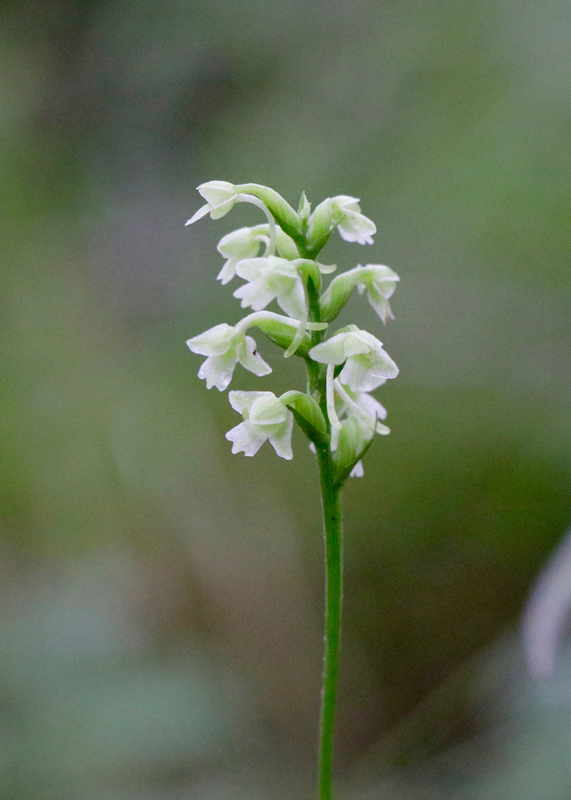 I now know that this plant is called Small Green Woodland Orchid or Green Wood Orchis. 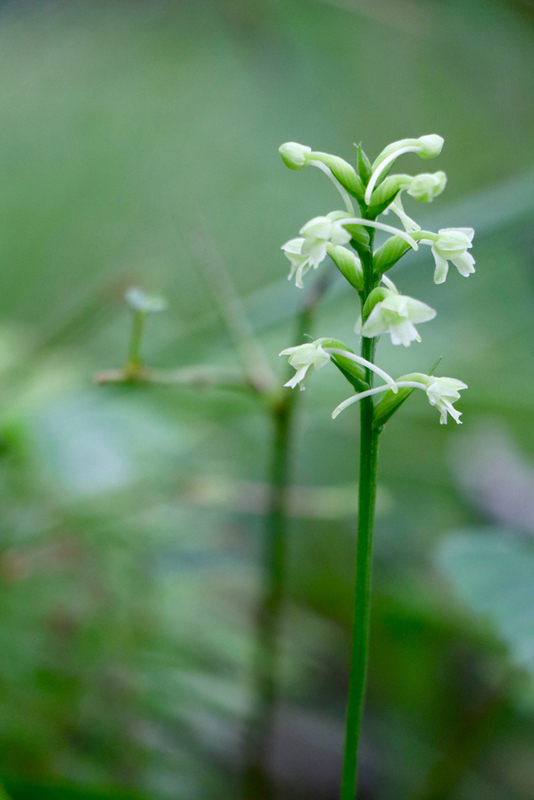 The names are rather nondescript for such a pretty and exotic wildflower! 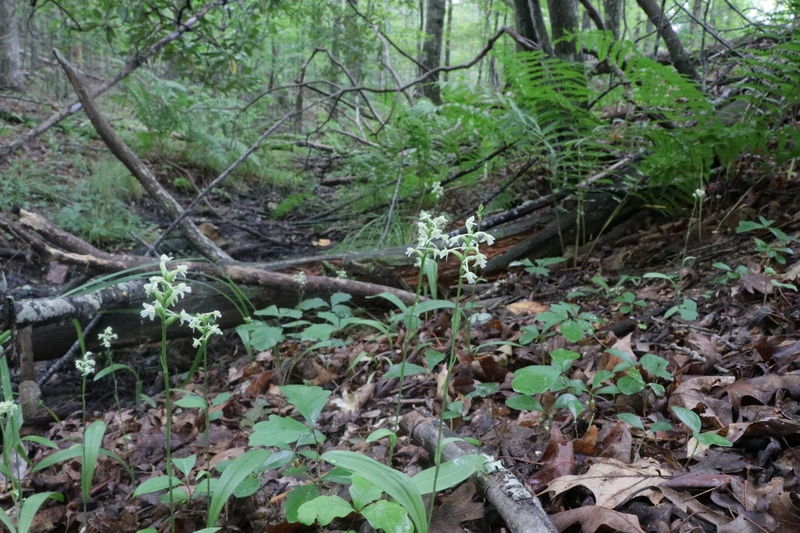 The habitat where I found this stand was densely shaded, and the understory was thick with New York, Cinnamon and Interrupted ferns. 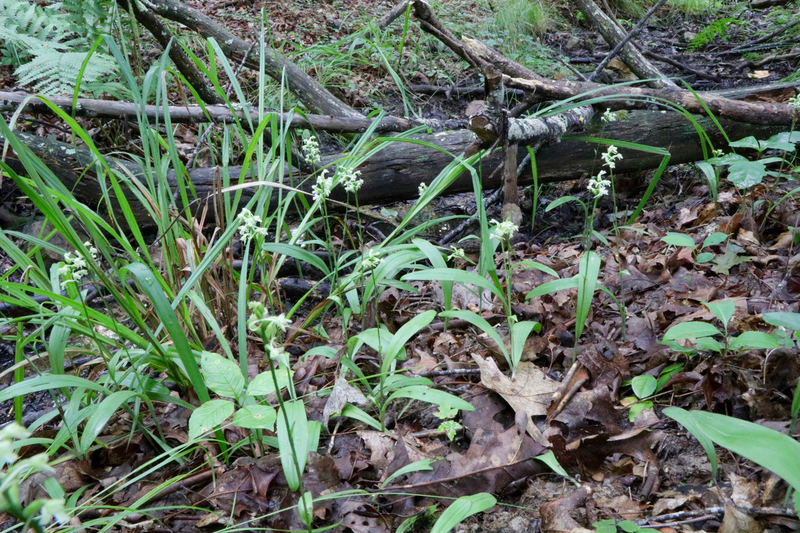 If you were walking along in the woods you might not recognize the plant as an orchid unless it was in full bloom. 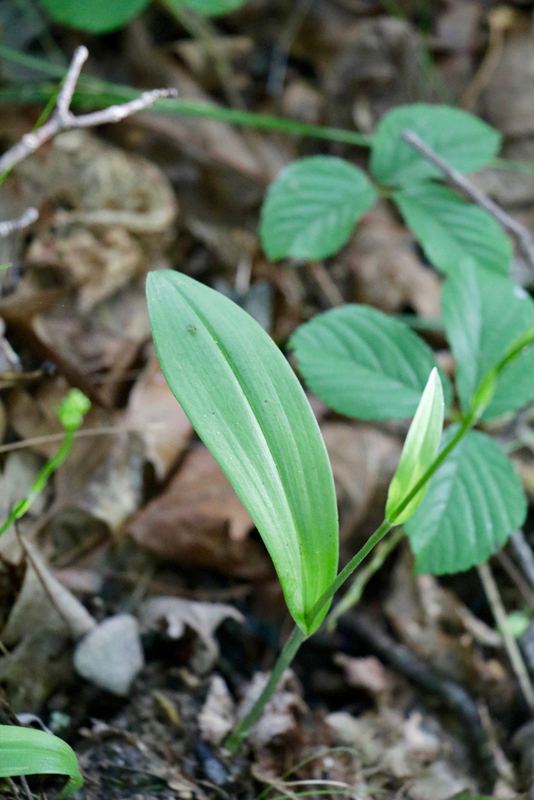 Each plant has a single, dominant leaf that looks, at first glance, like a wide blade of grass. 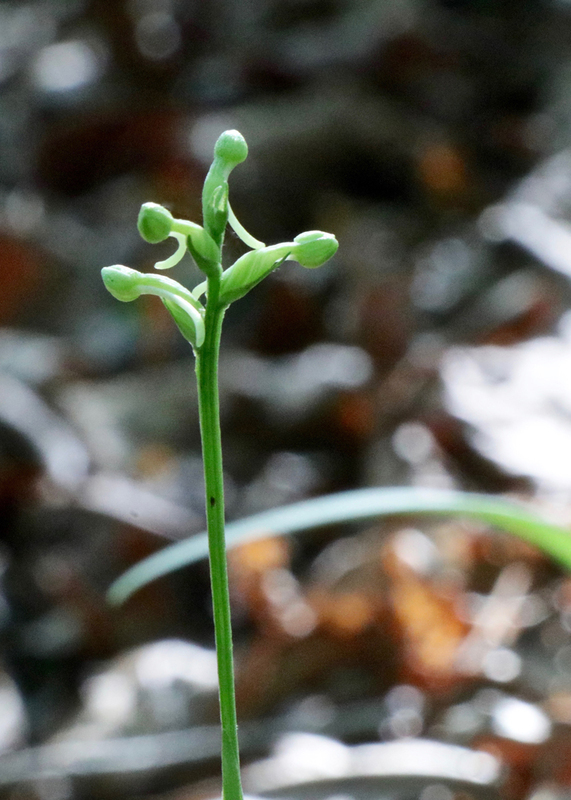 The single leaf clasps the stem, has a smooth margin, parallel veination, and is roughly oblanceolate. 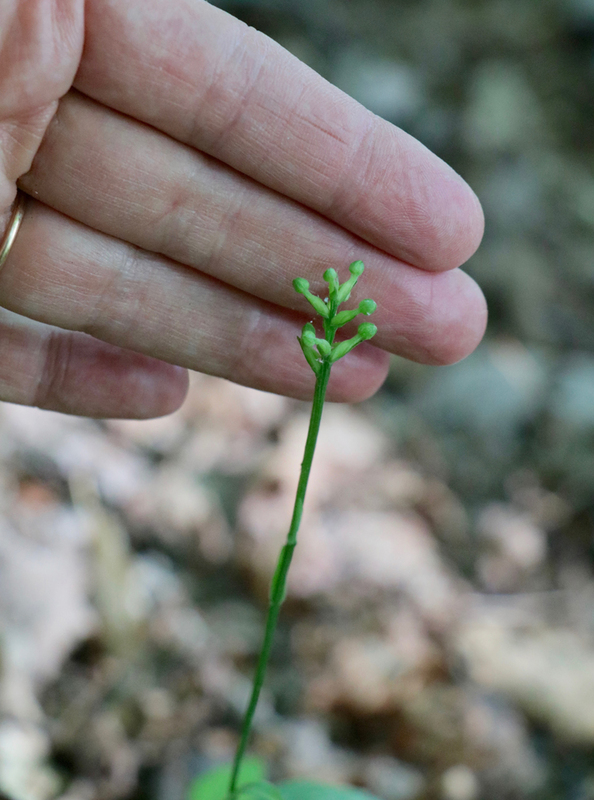 There may be one or two much smaller leaves further up on the main stem– and those, if present, sort of look like bracts. 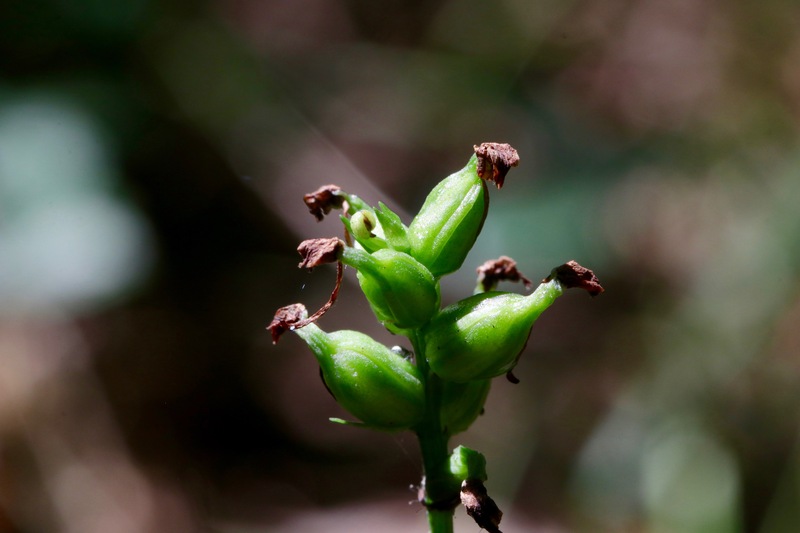 The stem is smooth, unbranched, and can be 6 to 18 inches in height. 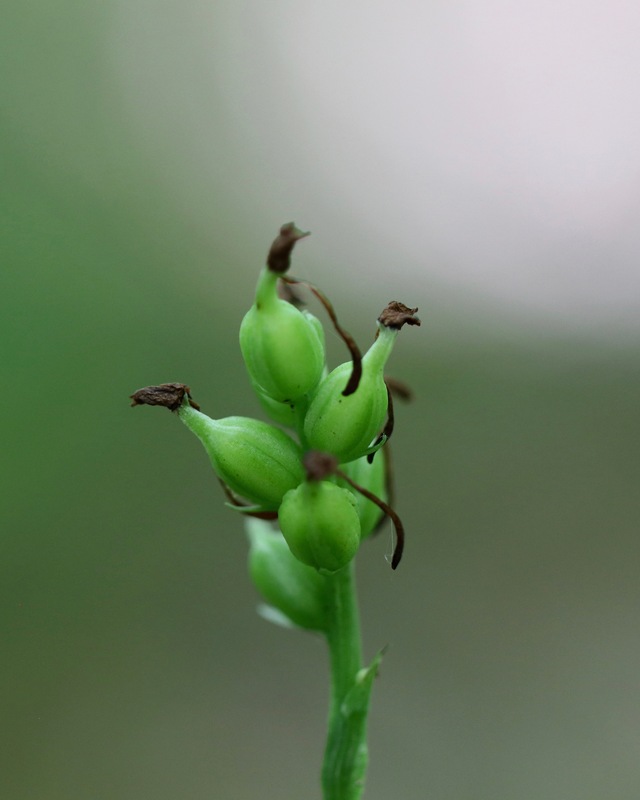 A terminal cluster of flowers at the top of the stem might bear 5-20 tiny flowers. 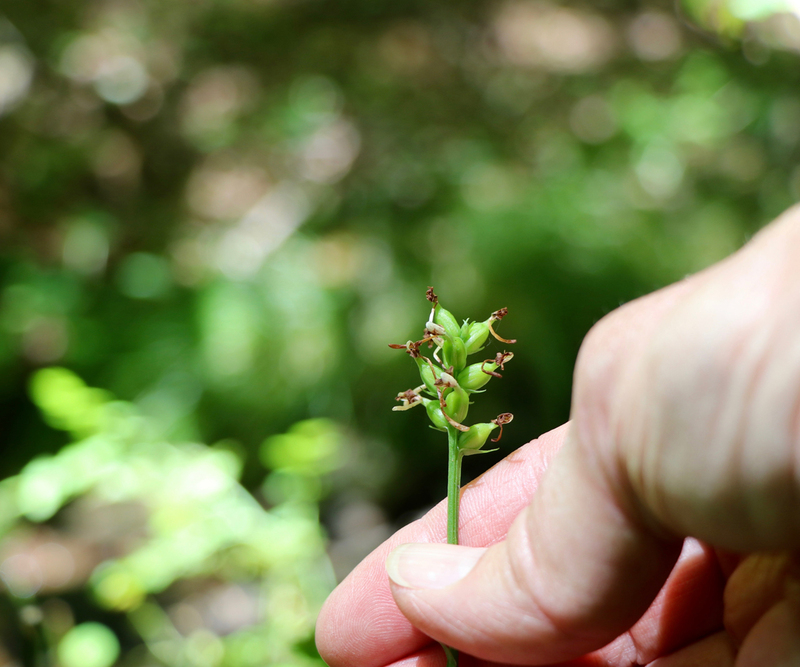 When I discovered this particular colony, none of the flowers had opened yet, but even the unopened buds were intriguing to look at. It took about two weeks for all the buds to open. 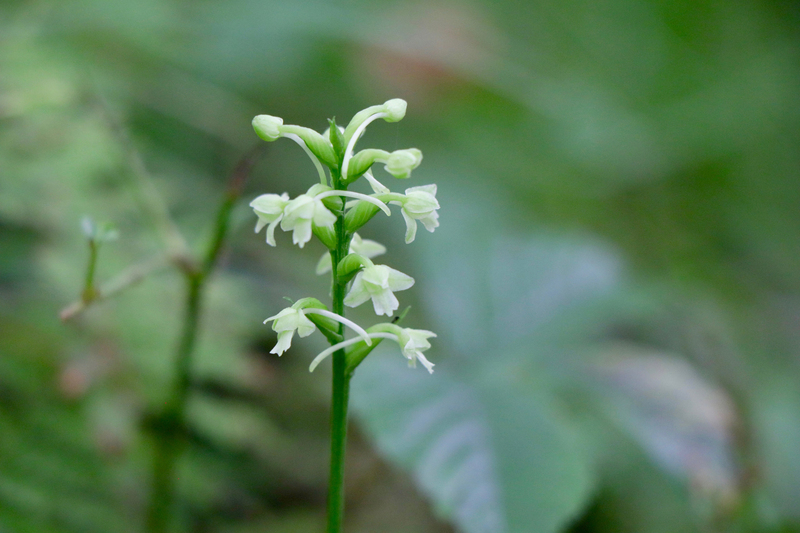 Each individual flower is very small (0.3-0.5 in), pale, cream to greenish in color, with a prominent green ovary. 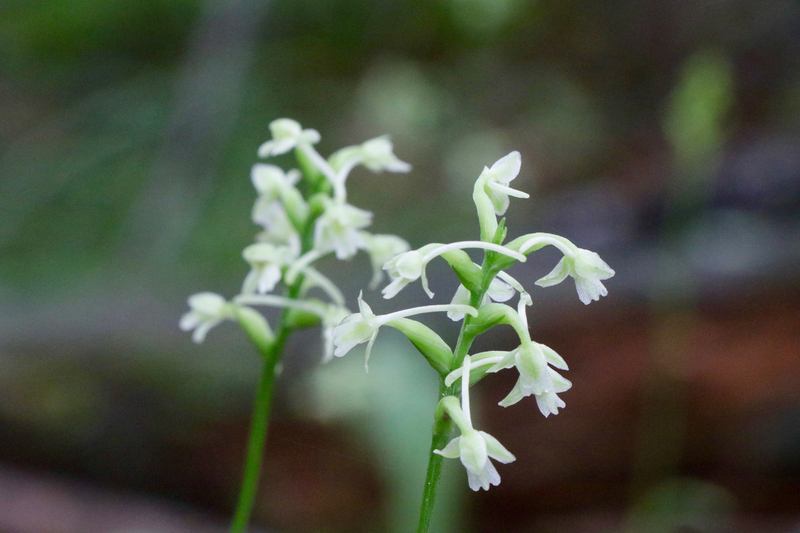 There are technically 3 oval sepals and 3 petals, but they are hard to tell apart; 3 of these structures join together to make up the orchid’s hood. 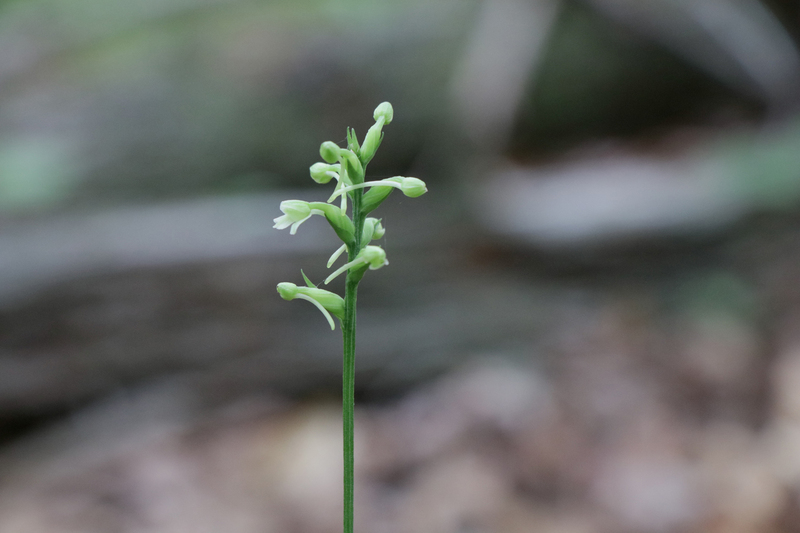 The lower lip petal (labellum) is short and squared off, and has 3 tiny lobes at the bottom (see the photos). 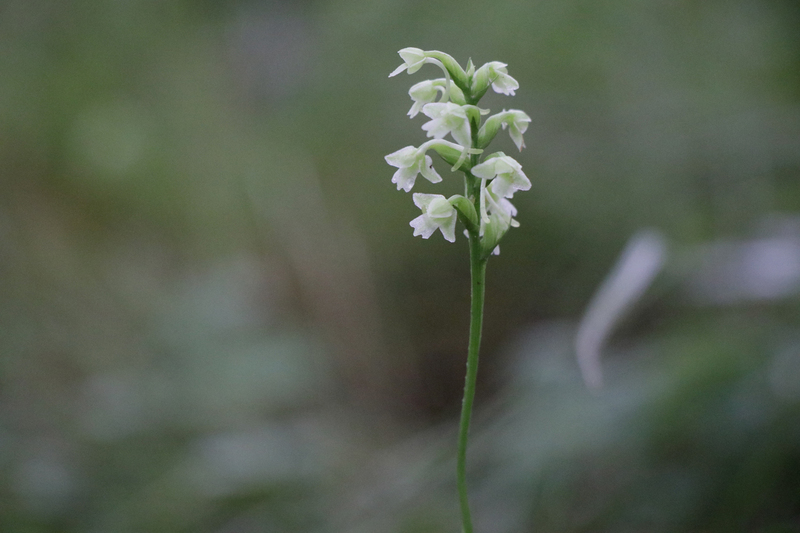 There is also a prominent, thin spur behind each flower; its terminal end is slightly enlarged like a “club”. 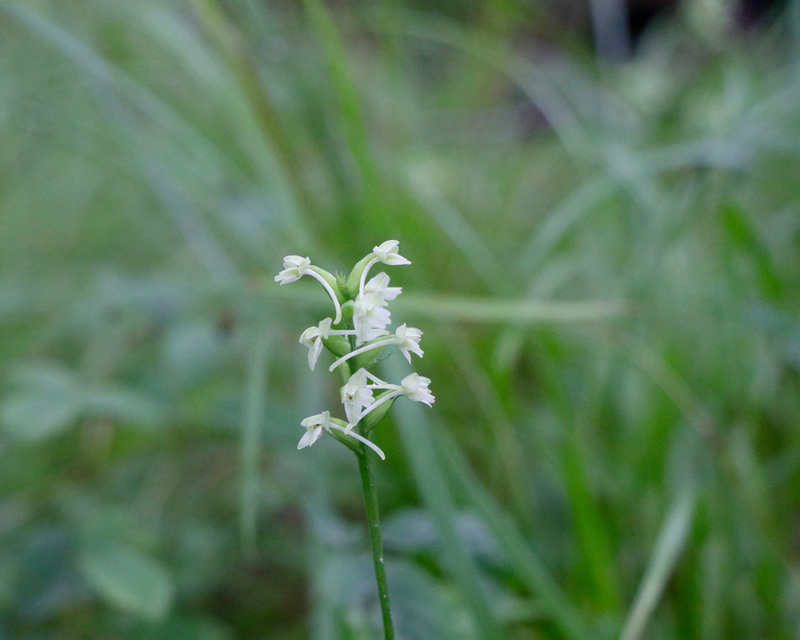 This feature is responsible for 2 other common names for the plant: Club-Spur Orchid or Little Club Spur Bog Orchid. 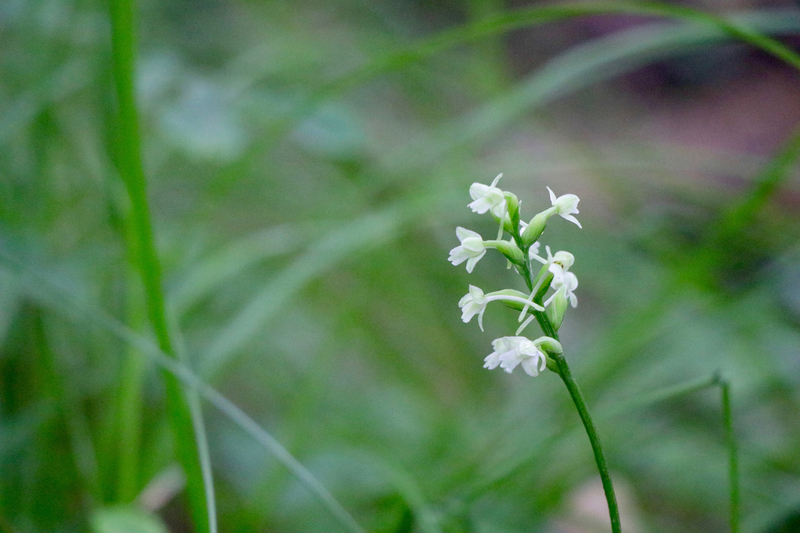 This plant was previously named Habenaria clavellata. Bloom time is July to August. The photos below were taken during the first two weeks of July 2017. 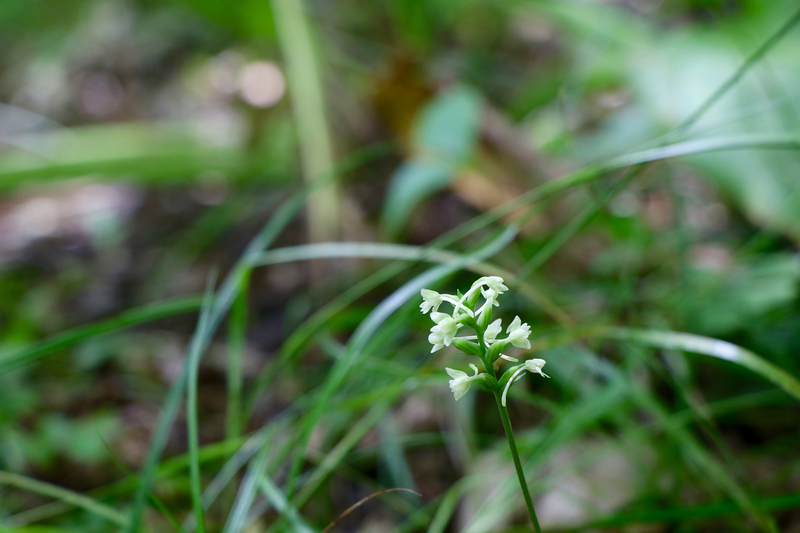 Your wildflower blog/sight is really great. I thoroughly enjoy your “naturalist” take on things – just giving a lot of info without all of the “scientific” comments that do not interest/inform me. I just enjoy learning about all that is out there in the world. Thanks for your kind comments, Larry! I’m always happy to hear from visitors! Transplanted orchids usually do not survive. 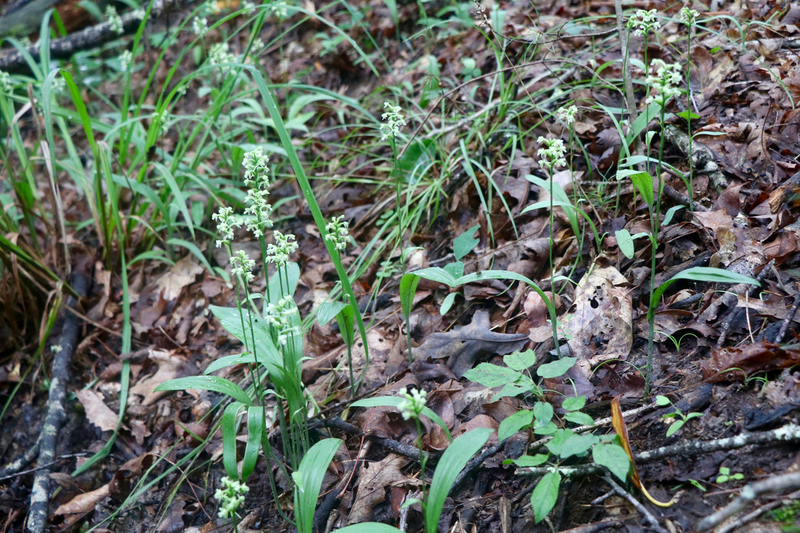 They rely on a fungus in the soil which cannot be transplanted or replicated. 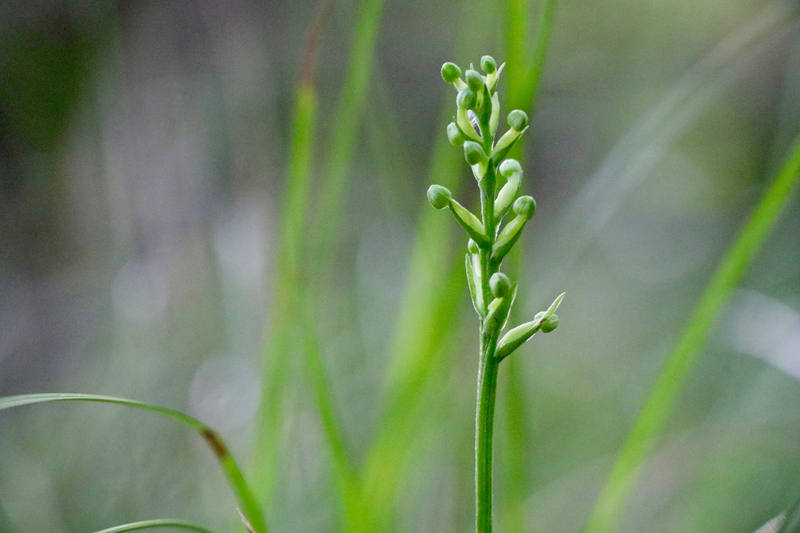 Beautiful in every way–your photos, the writing–I guess I must be a plant nerd too. Very much enjoy seeing your posts. 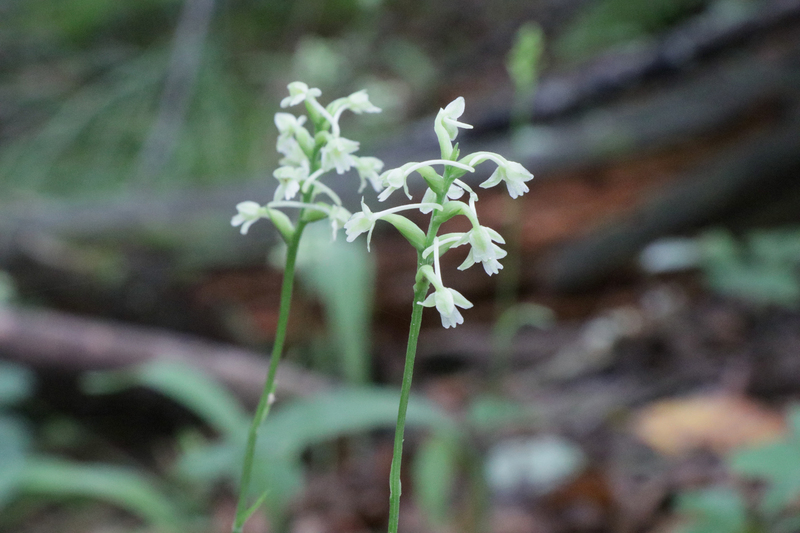 a lovely find – native orchids, in particular, are such treasures. 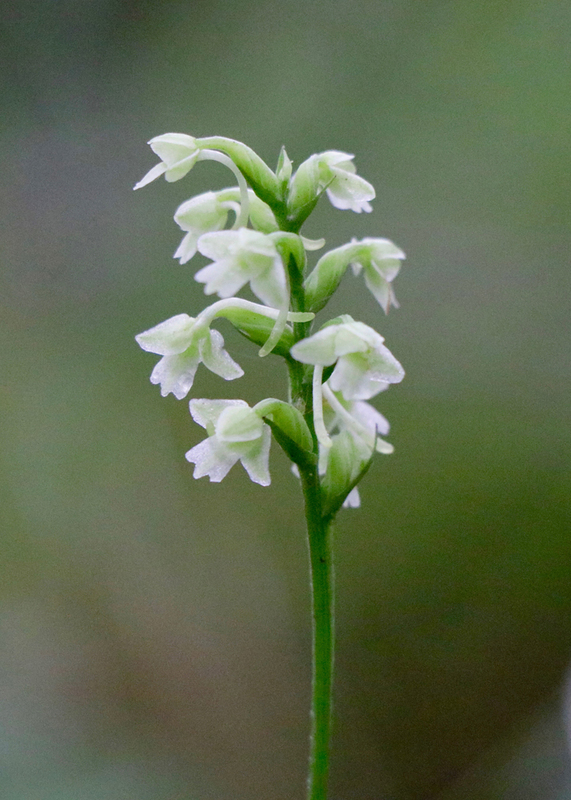 I appreciate the effort you’ve put into getting the photos of these orchids. I’ve done it many times, and I know it isn’t easy. Thanks, Allen! You’re right…sometimes not as easy as you might think! 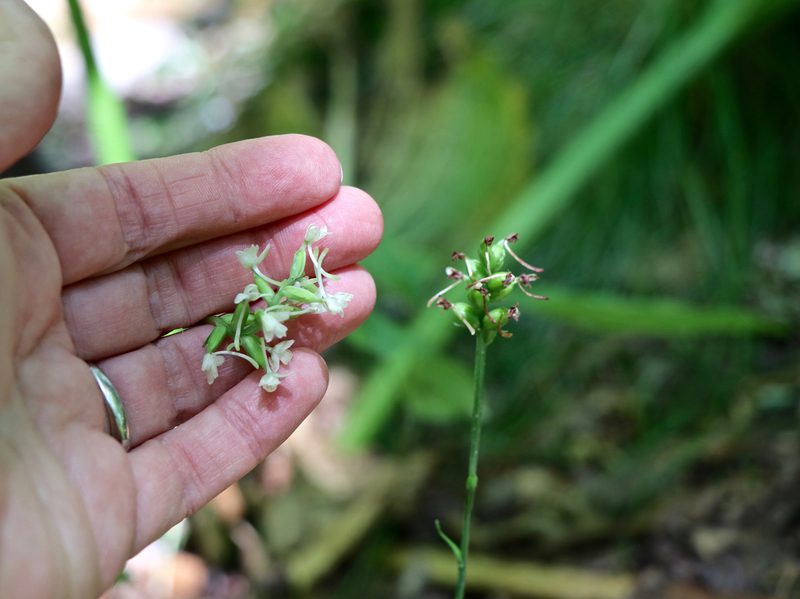 I found a similar looking plant on a riverbank recently-but I think the leaves look different. I’d love to send you my photos and get your thoughts, it’s actually been driving me crazy!